"Valley Of The Dolls" is a guilty pleasure. A favorite mistake that rewards in spite of itself. It's a groan-fest frothing with over-the-top acting and show-biz cliches. But I absolutely dug it! Partly because of the look and vibe...but mostly because the actors are so freaking sincere. Without spoilers, 3 young girls (one very sweet...one very ambitious...one not so talented) get schooled in the shag-nasty ways of show-business circa late 60's New York City. Barbara Parkins, I suppose, is the Dorothy on this yellow-brick road. Patty..."a hotdog makes her lose control"...Duke is still a cutie. And Sharon Tate (who we all know from...well, you know) was considered a star on the rise. I've never been a huge fan of singer, Dionne Warwick, but she was the perfect choice singing the theme. Patty Duke displays her chops on a couple of tunes, as well. All the songs are courtesy of multi-award winning musical genius...Andre Previn. And when the lights come up and the popcorn is all gone...we're left with the heavy-handed reminder..."there's no place like home." You're on top of the world. and you can't get any higher. You're on top of the world tonight. And it costs lots of money, honey- oh, no. Touch you there. Touch you there. 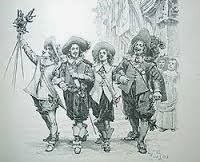 In the earlier classic, "The Three Musketeers"...the swashbuckling Fab Four (D'Artagnan, Porthos, Athos, & Aramis) were reveling in the thralls of Musketeer-mania. But now, "Twenty Years After" finds our beloved swordsmen thrusting their poniards in conflicting directions. They're still like brothers, sure...but they're also different men with different interests, personal and political. It's a confusing time in France. Tense civil unrest has the country divided and the guys are smack dab in the middle. Someone from their past is bent on inflicting some vicious sword-spanking revenge. And a slimy adviser to the throne is manipulating their Queen like a pawn on a Parcheesi board. All of which finds the Musketeers with their butts against the bowl. 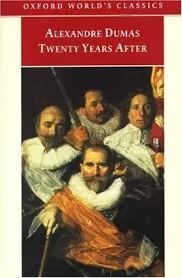 At nearly 800 pages, Alexandre Dumas weaves a suspenseful tale of adventure with plenty of action making "Twenty Years After" worth ever page...and almost shares equal footing with its better known prequel. We gotta fight for one another! A band often forgotten when discussing the San Francisco hippie headspin...It's A Beautiful Day made some wonderful moments of frock trippage. However, IABD had a slightly more prog vibe going on. David Laflamme's unique electric violin and harmonica play and singing partner, Patti Santos' vocal harmonies created a haunting experience that blended smoothly like a Jefferson Airplane/Moody Blues milkshake. Life-partner Linda Laflamme's lava lamp organ riffs are magical and mysterious giving arrangements a smart, edgier ride. 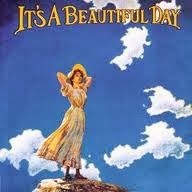 Listening to classic rock radio, one would think "White Bird" was all It's A Beautiful Day ever did. It wasn't. Lost Gem:--> "Hot Summer Day"...A dreamy coffee shop mind-hang. Gorgeous harmonica and violin nicely weave around smoldering vocals. Has a cool Marty Balin/Grace Slick dynamic happening...(except they don't hate each others guts). Sounds good. Tastes great! Repeat! Breaking up my soul and taking part of me homeLeaving the other half to tumble all aloneLove, love, where did you go? And stop the love that's dyingBecause I know that somewhereDeep inside my soul you're still lyingWaiting to awaken and shake that river's flowLove, love, where did you go?